It’s the same in fashion, people refer to polka dot dresses as being cute and fun. 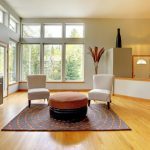 When it comes sprinkling your interior with polka dots there’s a couple of tips you might want to know. Making polka dots work can be hard at times, too much of it can make look pretty bad. I personally think going for more space between polka dots is much better. 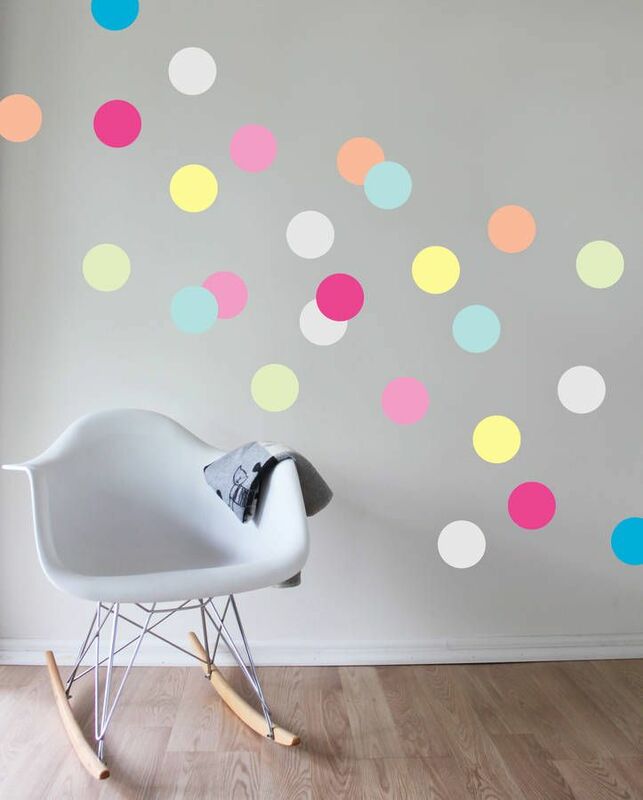 Neutral shades and a lot of space between the dots can look great on the living room wall! Sometimes the multi-colored approach can look great! here’s what I recommend though! limit your polka dots to a specific area, try a framed picture or a canvas over an entire wall. However, thats not to say it won’t look good at all! 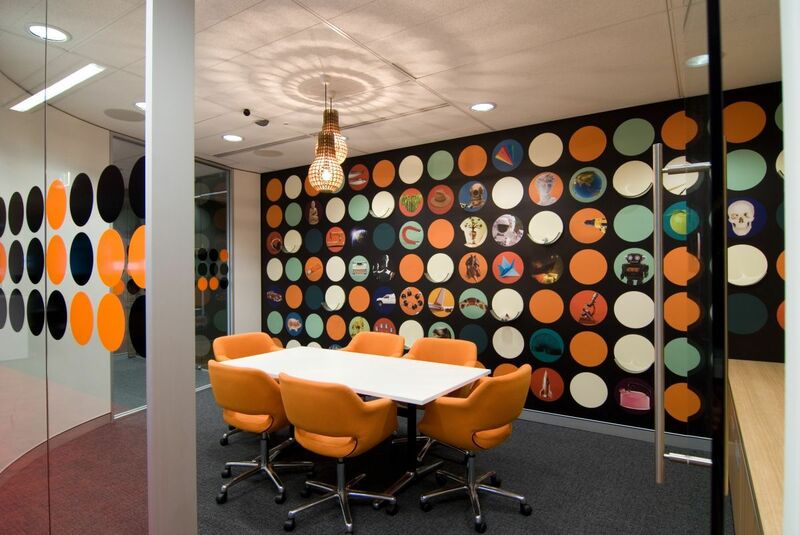 Here’s an example of a rainbow wall – notice how they’ve only put polka dots on a specific section of the wall? Small accessories like pillows, lamp shades, wall art, draperies, rugs, canvases etc can be a great way to introduce polka dots to your room. People seem to think because polka dots are so big and bold you need to go all out but really minifying how much you use polka dots can work out much better. 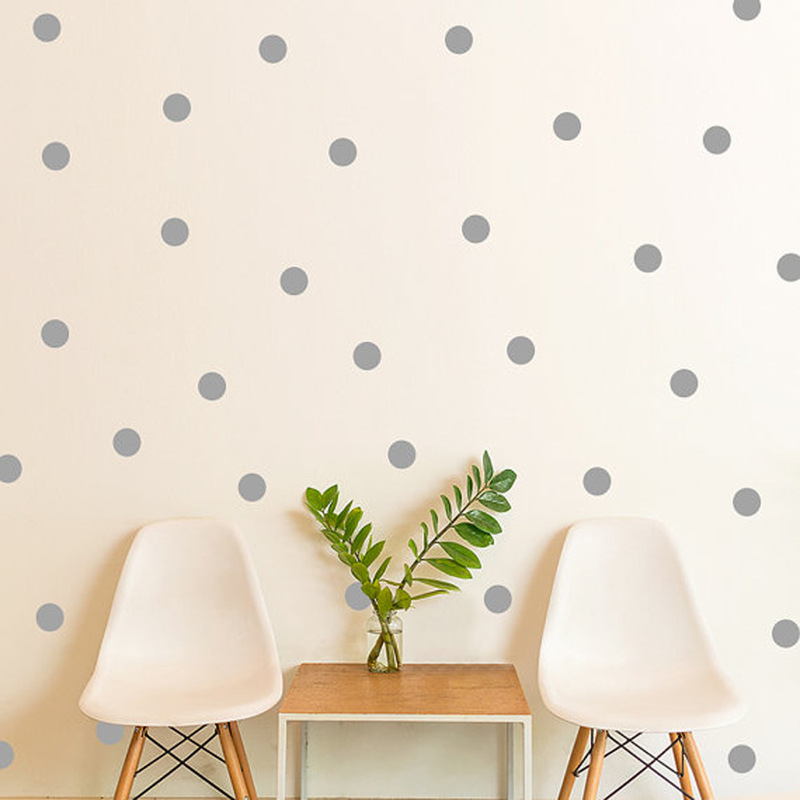 Polka dots on a wall can make things look too busy, always keep in mind that your polka dot is to highlight the room and can actually be subtle and pretty. You don’t want your polka dots to overwhelm the room. Sometimes it’s actually better to just go all out. I completely understand that the picture above could overwhelm some people but personally, I think the use of color and combination of different patterns are great. You don’t just need to use polka-dots on their own. 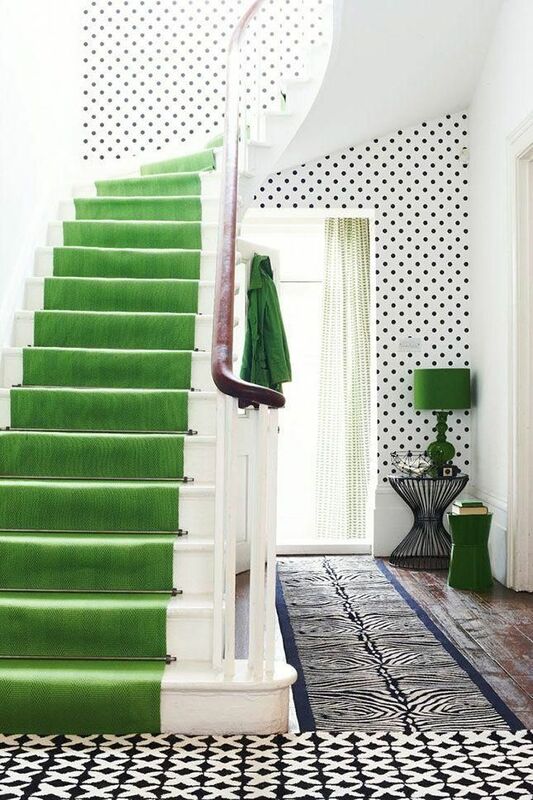 Combining a polka dot rug with a striped wall paper can give you a fantastic effect on a room. Polka dots shouldn’t just be considered at home. They can be a great addition to any office too especially because of the psychological effects they have. Look at the photo above! I personally love that meeting room. Did you know the color orange is associated with comfort, warmth, and passion? Great choice of color for a meeting room. Be creative and the polka dot could be the new addition your room needs. This entry was posted in Home Improvement and tagged brighten up a dark living room, Interior Design Ideas, interior design polka dots, polka dot, polka dot interior design, polka dot rug, polka dot rugs, polka dot wallpaper, polka in the bathroom. Bookmark the permalink.